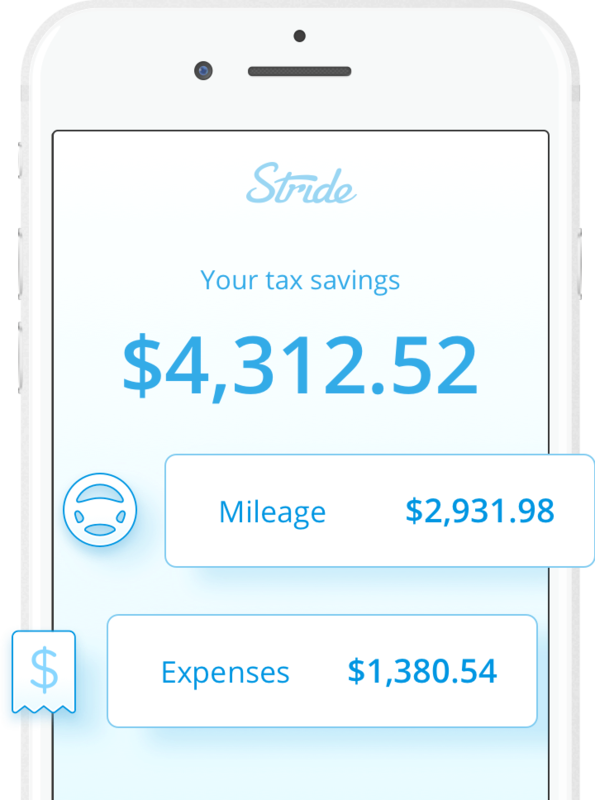 Download Stride Tax to easily track your expenses and find savings. It's free! Ready to start saving? Download now! 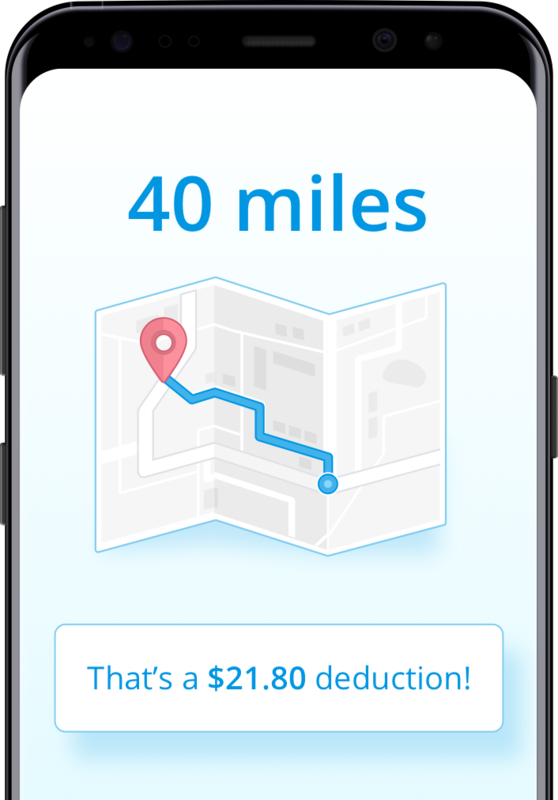 Automatically track your miles any time you're driving for work. 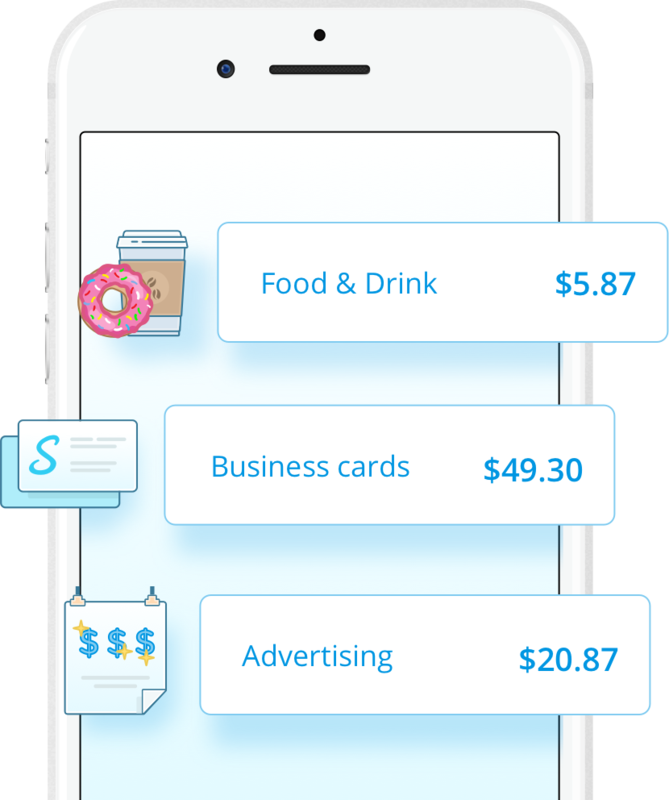 Save photos of your receipts to make tracking expenses a breeze. Discover new write-offs found by our tax experts. 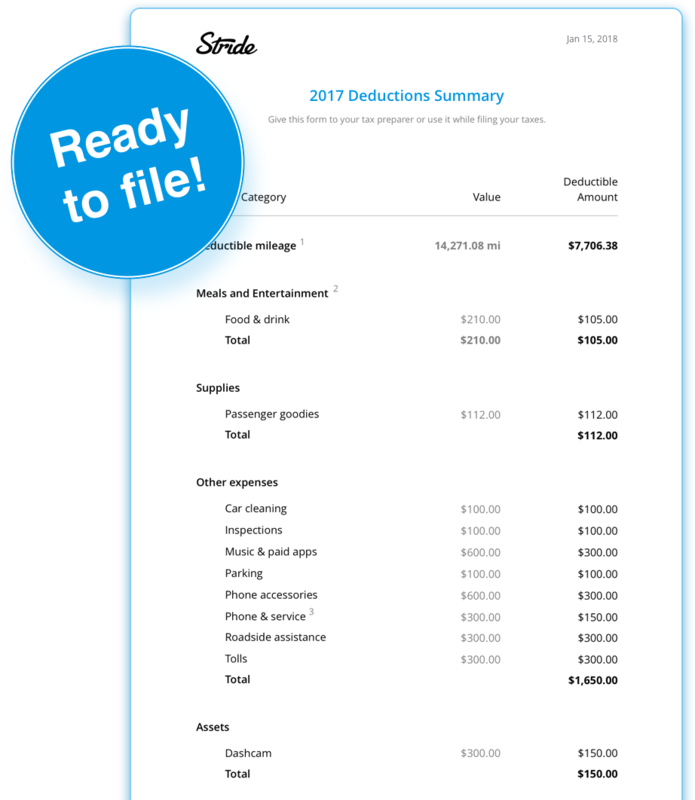 Get an IRS-ready report with everything you need to file. Have tax questions? Our team of tax experts are here to help with anything you may need. 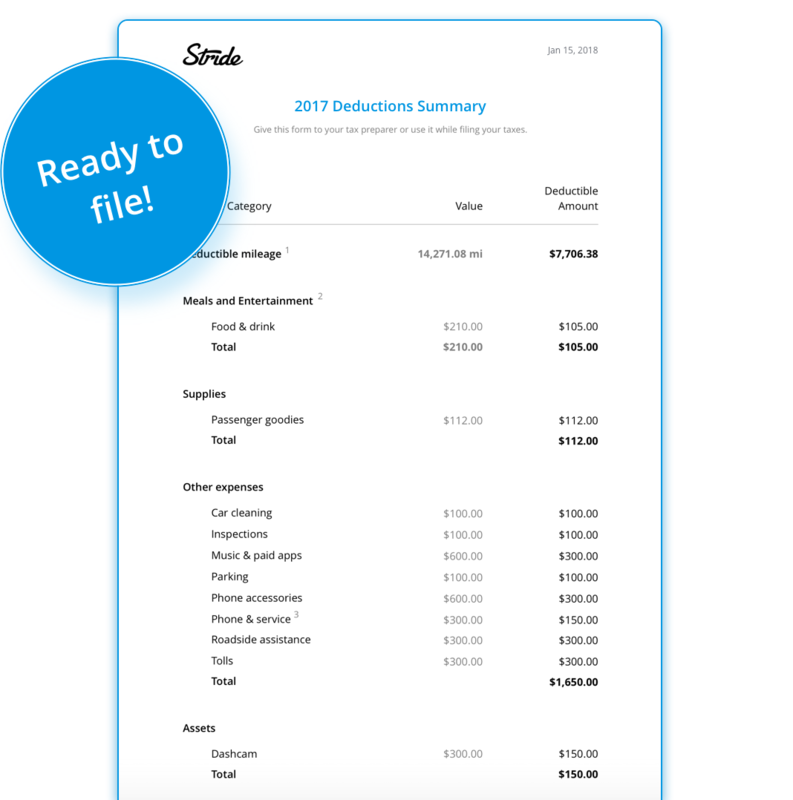 This app makes keeping track of my tax deductions a breeze. It's gone from a chore to something I look forward to: watching my deductions grow. Stride is a cool (and free!) new option [for mileage tracking]. It offers an automatic system that detects when you're driving so you can be sure to log every mile. I have always been impressed with Stride's very fast and informative answers to my questions. It will make my tax filing so much easier! Should I take the standard mileage deduction? Should I keep receipts from my business expenses? Rest easy, we gathered our tax experts to answer all the crazy tax questions that independent workers have.